I'd heard about -- and desperately wanted to try -- programs that let visitors take shelter dogs out hiking, in Hawaii, Utah and Colorado. Rebecca and I got Marla the pit bull from the Fairfax County Animal Shelter, which has made dogs available to anyone who's been through one of the Virginia group's foster training sessions since this past April. This is Marla. She's up for adoption through the Fairfax County Animal Shelter. Marla -- who is about 2 1/2 years-old, and was found as a stray around a month ago -- was already suited up in a bandana and leash both reading "adopt me" when we got to the shelter, since part of the point of these outings is to introduce adoptable dogs to potential new owners. Other benefits: Doggie time for people who love pets but can't have one of their own, while the dogs get some exercise and socialization and love. "The strength of the program is it's manageable for people with overscheduled, busy lives," said Kristen Auerbach, the Fairfax shelter's spokesperson. "Most people don't have weeks or months of time to dedicate to shelter pets, but most do have the hour or two it takes to give a shelter dog a much-needed break!" 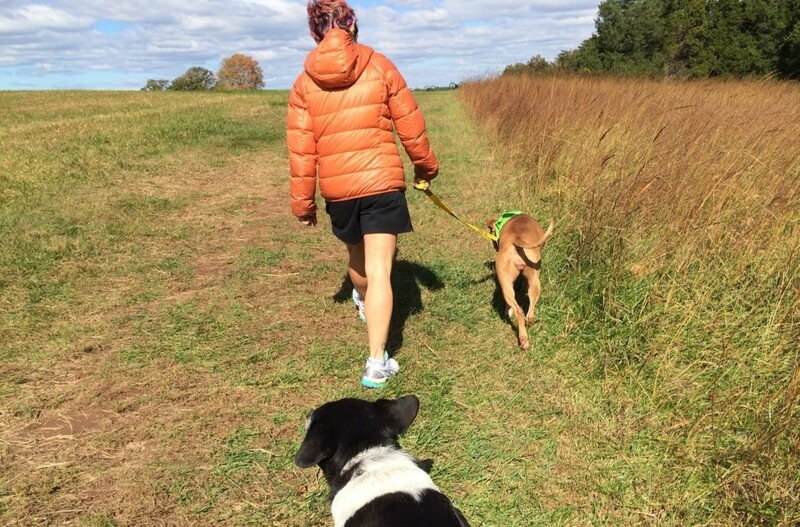 Folks at the shelter had all kinds of good suggestions for where we might go -- for hikes and for leisure -- and soon were off driving to the nearby Manassas Battlefield. Marla spent most of the drive licking my face -- another point of the program is to see how the dog behaves in various situations. Marla behaves delightfully, we discovered -- as my own dog Murray, who I was already aware behaves more jealously, glowered from the back seat. "Marla," I said, of the dog who was so delicately nibbling a bit of sandwich, "will make some lucky family very happy." But neither of us could be that family. Rebecca isn't living somewhere she can have a dog at the moment. I already have two cats and Murray in a small apartment, and my patient but realistic husband worries we will one day end up in the news for all the wrong reasons if I bring home any more animals. Telling me about a dog named Egypt, Shari Kalina, the adoption coordinator for the Montgomery County shelter, said not to feel guilty at the end of an outing. 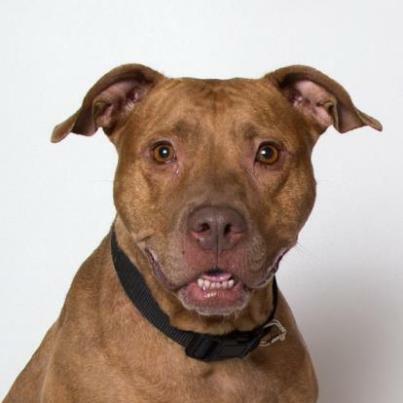 Egypt was one of the shelter's longest-term residents, who "met her future adopters as she was being walked back through the adoption lobby, happy and calm," Kalina said. "Her usual presentation in the shelter was not the best, due to being cooped up in a cage so much of the time. The Ambassador Program allowed her to show her true self, closer to how she'd be in a home environment. Her adoptive family got to see that -- and now they adore her!" Murray seemed not to mind too much when the hike was over -- he prefers napping to walking, even when he's not competing for a limited supply of egg salad -- but Rebecca and I were still feeling very sorry to let Marla go. Fairfax's Auerbach reassured us that, "One hundred percent of the time when dogs return, they settle down for a nice long nap." "There is something so healing and wonderful about giving a shelter dog a little love," Auerbach said. 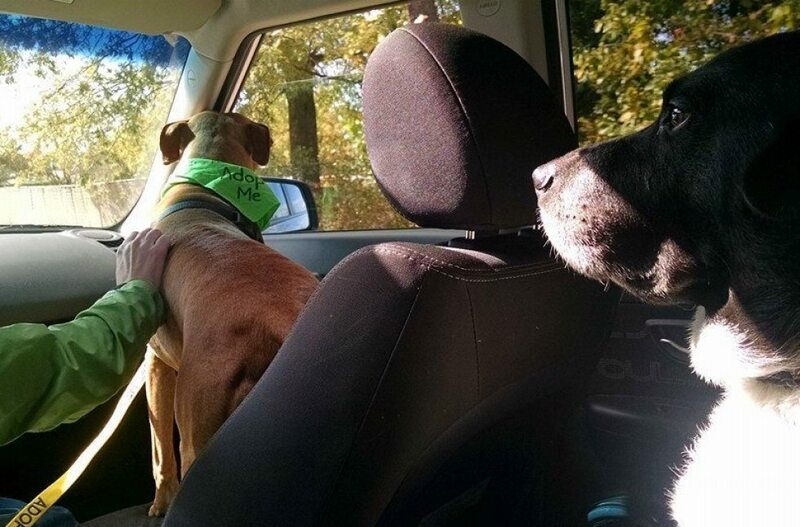 "There is no other program that does more to help animals find their new families." 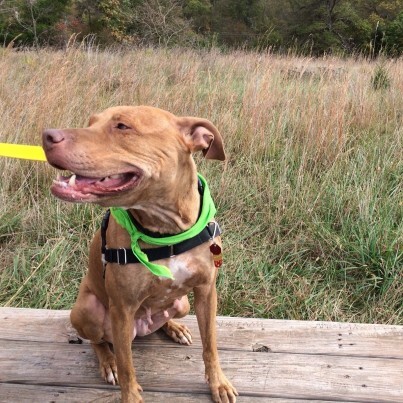 Let's keep up that streak: Here's Marla's adoption listing. Take a look -- and maybe head over to Fairfax and take her out. If Marla's not available, there's plenty of others who'd love to spend the day out of the shelter, palling around with you. UPDATE: We can't believe we waited this long to tell you! Marla was adopted in the fall. Her dad, Michael Daugette, told us that she is queen of the house. Here Marla is with him (and me) getting ready to film a TV segment last November, to talk about her adoption. Programs like this one are wonderful, if not always always widely-publicized; call your local animal shelter to see if and how you can borrow a shelter dog from them. And get in touch at arin.greenwood@huffingtonpost.com if you know a shelter or rescue group doing great work, or if you have another animal story to share!